HOWE, JOHN, printer, newspaperman, jp, and office holder; b. 14 Oct. 1754 in Boston, son of Joseph Howe and Rebecca Hart; d. 29 Dec. 1835 in Halifax. Member of a fifth-generation family in the Thirteen Colonies, John Howe was just “out of his time” as an apprentice printer when the American revolution began and, according to his son Joseph*, witnessed the Boston Tea Party in December 1773. 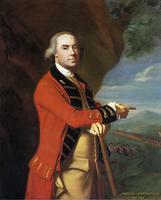 Although he was not, as one writer states, the John Howe who acted as a spy for Lieutenant-General Thomas Gage* behind the rebel lines in 1775, he left no doubt about his unbending allegiance to the crown. Because of it, Margaret Draper, who had like political sympathies, made him a junior partner at age 20 in the Massachusetts Gazette; and the Boston Weekly News-Letter, of which she was publisher. On the British evacuation of Boston in March 1776, Howe went to Halifax, but by January 1777 he was in Newport, R.I., publishing the Newport Gazette in support of the British cause. There, on 7 June 1778, he married 16-year-old Martha Minns, known for her beauty. When Newport was evacuated in October 1779, he moved to New York and later to Halifax, his home for his remaining 55 years. But he continued to love New England and especially Boston with “filial regard,” and whenever he got sick in his later years, his family sent him there to recuperate: “He generally came back uncommonly well.” Howe was the only male in his family to leave the old colonies at the time of the revolution, and his pronounced pro-British feelings did not stem from his devotion to the crown as such and especially not to King George III. What counted with him, as with many New England loyalists, was the British heritage, the contributions of Britons over the centuries to politics, the arts, science, and literature. He was determined never to relinquish his membership in a nation whose accomplishments he admired and idealized. On 28 Dec. 1780 Howe began to publish a weekly newspaper, the Halifax Journal, which in that day “set a new standard of newspaper printing.” He also did general printing, including pamphlets, sermons, and an almanac, and participated in one of British North America’s earliest literary movements when, in 1789, he printed a monthly, the Nova-Scotia Magazine and Comprehensive Review of Literature, Politics, and News, edited during its first year by William Cochran. The next year Howe succeeded Cochran as the magazine’s editor, but through lack of support it failed in March 1792. His first wife having died in 1790, on 25 Oct. 1798 he married Mary Austen, née Ede, who in 1804 gave birth to Joseph, the last of his eight children. In 1807 acute tension developed between Britain and the United States [see Sir George Cranfield Berkeley*], and the following year Sir George Prevost*, the lieutenant governor of Nova Scotia, was instructed to “gain Intelligence” about the intentions of the American government. He sent “a respectable and intelligent Inhabitant of Halifax,” John Howe, to the United States. During his first mission, between April and September 1808, Howe reported that little had been done to fortify New York City, that Fort Mifflin, near Philadelphia, was in “very indifferent repair,” and that “as far as respects military preparations . . . there are none whatever.” In November he was back to observe official Washington at the highest level for about two months. With David Montagu Erskine, the British ambassador, he called on President Thomas Jefferson and Secretary of State James Madison, and, like Erskine, concluded that Madison, almost certain to be the next president, would not engage in war if – as seemed improbable – he were left to himself. Unlike Erskine, however, he did not think that war was inevitable, although Nova Scotia would be following the safest course by preparing for it; certainly the colony need not fear an attack that winter. 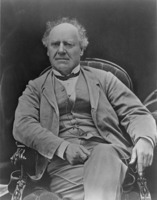 For these services, Joseph Howe said ruefully, his father “never received a farthing.” The son could not understand why a man of talent, who consorted with governors, ambassadors, and even a president, should be so self-effacing as his father. In the world of politics, for example, should he not occasionally have put his great talents to work in “hammering some of our great folks”? But John Howe remained a quiet, sedate man who rarely meddled in political matters and made no enemies, altogether unobtrusive and unambitious. 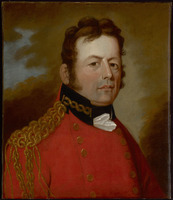 Indirectly he helped maintain established authority in the first decade of the century when Lieutenant Governor Sir John Wentworth* made extraordinary uses of the prerogative, especially to counteract William Cottnam Tonge and his “country party.” Until 1813 the Howe family had a complete monopoly of the Halifax press through John Howe, who controlled the Halifax Journal and the Nova-Scotia Royal Gazette, and his brother-in-law William Minns, who owned the Weekly Chronicle, and they both shunned political controversy. When, in 1809, the House of Assembly asked Howe to print in the Royal Gazette its resolutions condemning Administrator Alexander Croke*’s rejection of the appropriation bill, he followed without question the administrator’s directive not to honour the request. Understandable, therefore, was his lack of concern with temporalities. Although associating daily with local leaders because of his offices, he was never part of Halifax society. Story-tellers have pictured two kinds of Haligonians: “the world of fashion on the one side, and the demi-monde of the waterfront on the other.” But there was a third world, the New England puritans and their families, which scorned “the wild life at Government House and the depraved orgies of the dives in Barrack Street.” To this third world John Howe belonged, and his early move from the centre of the city to a cottage two miles away on the Northwest Arm kept him all the more remote from the other worlds. John Howe’s determination to render the highest type of public service may be seen in his administering the post office without thought of personal gain. Under him, a historian of the post office has noted, it “never seemed, as it did in the Canadas, to be imposed on the province. From the beginning it was accepted for what it is: an agency indispensable to the varied activities of a civilized state.” Howe worked closely with a committee of the legislature in considering applications for post offices and routes, and in determining the subsidies for those routes which produced only scant revenues. Since he put the provision of service first, he was not averse to winking at the procedures governing the operation of the post office, even going so far as to establish new offices and make new contracts without the approval of his superior, the postmaster general in Britain. But because he was held in universal respect and sought nothing for himself, he was always let off with the gentlest of warnings. In 1818 Howe relinquished his two offices in favour of his son John and in his remaining 17 years busied himself with a variety of unpaid activities. Above all, he continued the philanthropic work for which he had long been known. During the War of 1812 he had rendered all sorts of kindnesses to the American prisoners incarcerated on Melville Island; he often brought “jail birds” to live with him until he could find employment for them; on Sunday afternoons, Bible in hand, he regularly ministered to the religious and other needs of the inmates of Bridewell, the house of correction. Posterity knows him best, however, for his influence on his son Joseph, for whom he was “instructor, . . . play-fellow, almost . . . daily companion” for 30 years. The evidence suggests that Joseph was his favourite child, perhaps “because he was the son of his old age.” In turn, Joseph had a respect for his father that he accorded no other man. To the end of his days his speeches and writings frequently referred to him in terms almost of reverence. From his father’s influence came his unabashed admiration of the British heritage; his preference for simple, non-ritualistic religious practices; his willingness to perform public services without thought of financial gain; and his compassion for society’s unfortunates. From his father, too, he got his knowledge of Shakespeare and the Bible which became a basic part of a well-stocked repertoire that he drew upon at will in his speeches and letters. During Joseph’s “rambles” throughout the province in the late 1820s and early 1830s, John Howe wrote extensively for his son’s paper, the Novascotian, or Colonial Herald. Joseph encouraged his wife to let his father “launch out as much as he pleases. A few good paragraphs from him will cover my retreat famously.” Occasionally there were difficulties and twice John was asked not to “crow too much on the side of the Russians . . . as our politics have been rather Turkish.” For John Howe, who believed this “the best of all possible worlds,” it was a traumatic experience to have his son Joseph “hammer some of our great folks” with whom he had always been on the friendliest of terms. While on a “ramble” in 1830, Joseph wrote worriedly to his wife telling her not to let his father or half-brother John put “a scrape of a pen” in the Novascotian which would retract something he had written against the Council during the celebrated “Brandy Dispute” [see Enos Collins*]. 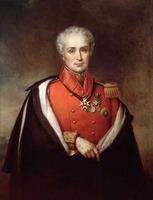 In 1832, when Joseph and his fellow grand jurors succeeded in having the inefficient William H. Cleaveland removed as clerk of licences, his father and John Jr were among the 11 magistrates who asked Lieutenant Governor Sir Peregrine Maitland* to restore their long-time acquaintance to office. The old man’s action was astounding, coming as it did from one who had avoided partisan controversy like the plague during all his adult life and had seldom, if ever, written a letter to a newspaper. Perhaps it was because some deterioration was taking place in his mental processes. Always friendly with the poor, he had become obsessed with the idea that he ought to be devoting his remaining life to improving their condition and he was seeking to settle as many of them as possible on a large tract of land on the Dartmouth side of Halifax Harbour. To that end he had placed orders for ploughs, harrows, and spinning-wheels, and he would have incurred large obligations if the younger John Howe had not prevented those orders from being carried into effect. On a Sunday late in December 1835 John Howe presided over a Sandemanian service at the home of his friends, the Reeves, near Dartmouth. That night, still at the Reeves’, he died in his sleep. To Joseph’s regret the only writing he left behind was a single religious tract. Although he might have written informatively about “a great number of people who were worth knowing . . . or became eminent for something,” he did not; perhaps he thought it “unfair to preserve even friendly notices of his contemporaries.” Modest above all, John Howe may well have been the most respected person in the Halifax of his day. A portrait by William Valentine* of John Howe which was handed down to Joseph and his wife Catherine Susan Ann, and then to their son Sydenham, is now in the collection of the N.B. Museum. Harvard College Library, Houghton Library, Harvard Univ. (Cambridge, Mass. ), ms Can. 58 (Joseph Howe papers) (mfm. at PANS). PAC, MG 30, D11, 1–2 (mfm. at PANS). PANS, MG 9, no.109: 132–33. Novascotian, or Colonial Herald, especially 1829–35. Akins, Hist. of Halifax City. J. M. Beck, Joseph Howe (2v., Kingston, Ont., and Montreal, 1982–83), 1. J. N. Grant, “John Howe, Senior: printer, publisher, postmaster, spy,” Eleven exiles: accounts of loyalists of the American revolution, ed. P. R. Blakeley and J. N. Grant (Toronto and Charlottetown, 1982), 25–57. William Smith, The history of the Post Office in British North America, 1639–1870 (Cambridge, Eng., 1920; repr. New York, 1973). J. N. Grant, “John Howe (1754–1835),” United Empire Loyalists: loyalists of the American revolution, ed. Mary Archibald (ser. of 9 leaflets, Toronto, ). D. W. Parker, “Secret reports of John Howe, 1808 . . . ,” American Hist. Rev. (New York and London), 17 (1911–12): 70–102, 332–54. T. M. Punch and A. E. Marble, “The family of John Howe, Halifax loyalist and king’s printer,” N.S. Hist. Quarterly, 6 (1976): 317–27. William Smith, “The early Post Office in Nova Scotia, 1775–1867,” N.S. Hist. Soc., Coll., 19 (1918): 53–73. C. St C. Stayner, “The Sandemanian loyalists,” N.S. Hist. Soc., Coll., 29 (1951): 62–123. J. J. Stewart, “Early journalism in Nova Scotia,” N.S. Hist. Soc., Coll., 6 (1888): 91–122. J. Murray Beck, “HOWE, JOHN,” in Dictionary of Canadian Biography, vol. 6, University of Toronto/Université Laval, 2003–, accessed April 24, 2019, http://www.biographi.ca/en/bio/howe_john_6E.html.